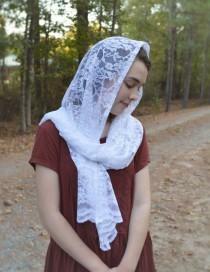 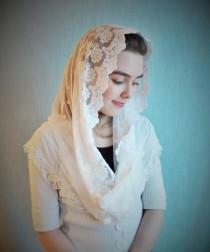 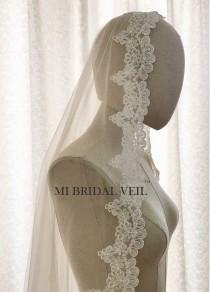 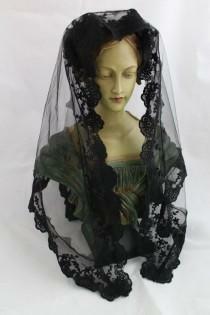 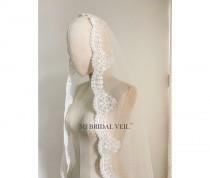 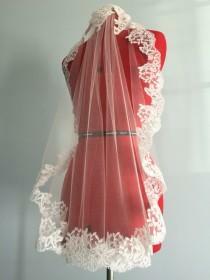 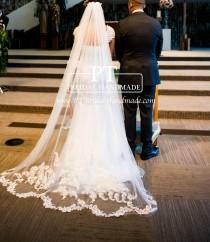 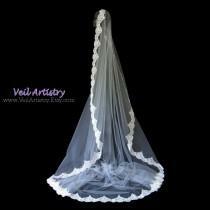 Traditional Mantilla / Long Triangle Chapel Veil / Triangular Veil / Catholic Headcovering / Veil for Mass / The Marcella Veil. 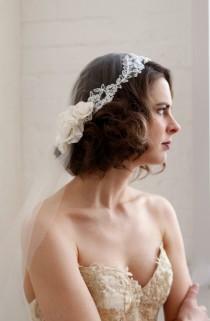 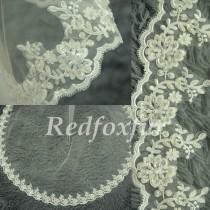 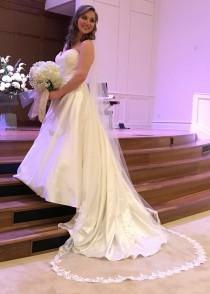 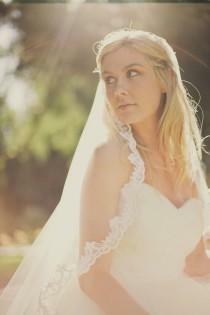 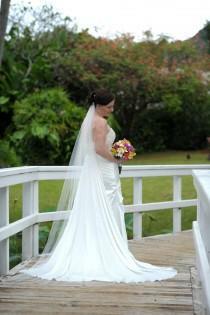 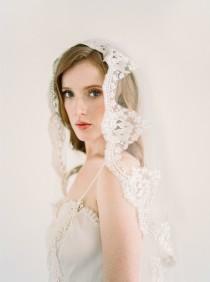 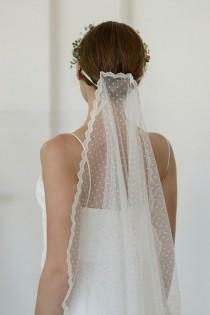 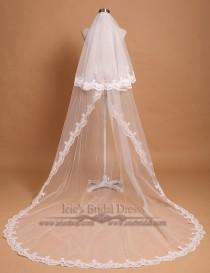 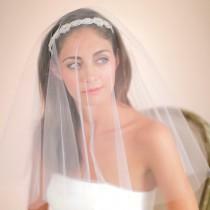 This simple yet elegant bridal veil is a 90” length and single layer. 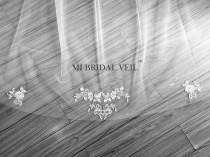 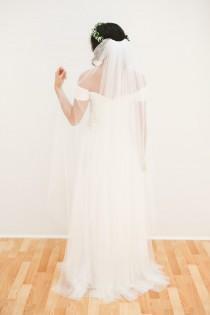 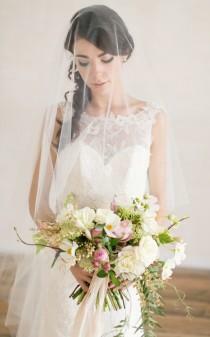 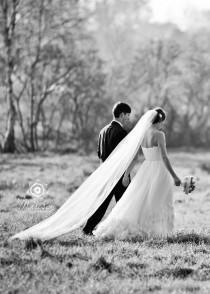 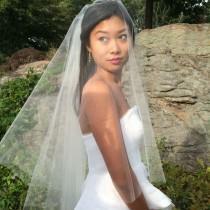 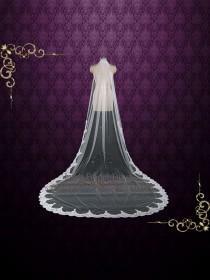 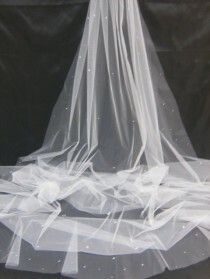 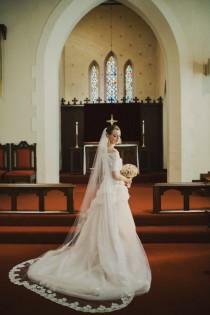 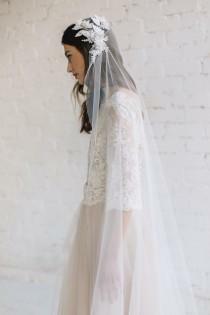 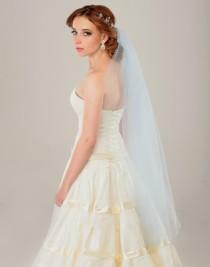 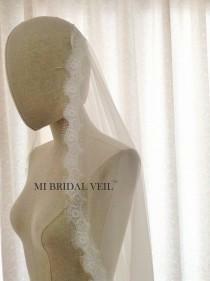 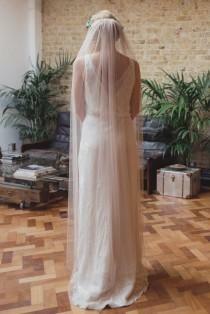 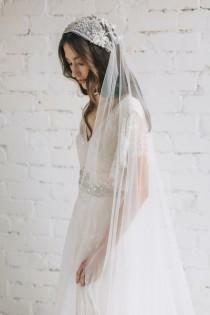 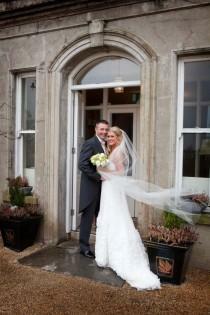 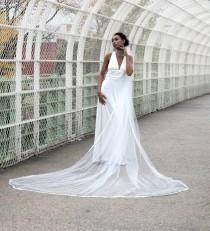 The veil is standard cut with an unfinished edge in a soft bridal tulle. 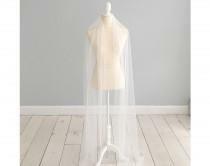 Options available include a plastic comb or no comb and small thread hooks for attaching with hair pins.